The problem is that the neighborhoods and villages in east Jerusalem have been integrated into the city’s fabric of life in a way that does not permit separation. It is not a matter of ideology. You have never heard me say that “when we sat by the waters of Babylon, we remembered Zion” – and we thought about Shuafat and Beit Hanina. It is possible that if in 1967 these exact borders had not been set, Jerusalem would have developed in other directions and these neighborhoods would not have been relevant. Has anyone at all tried to tackle the question of the meaning of the division that is proposed? Can anyone imagine cutting off Sheikh Jarrah, or that the entrance to the hospital on Mount Scopus should have to go through the checkpoints of the Palestinians? Problems would be entailed for the municipal fabric that would turn life into hell, beyond the security issue…. Has anyone at all tried to analyze how, within this spaghetti that would be created, infrastructures could be built separately? How planning and building laws could be dealt with separately? How one would deal with water? How one would deal with problems of parking, streets? A rise in the number of requests for Israeli identity cards, a rise in demand for the Israeli matriculation exam, a rise in registration for Israeli academic institutions, a decline in birthrate, a rise in the number of requests for building permits, a rise in volunteering for national service among east Jerusalem’s young people, a rise in the residents’ levels of satisfaction, a revolution in access to the health services, a survey [discussed below] showing that in the permanent settlement, more Palestinians in Jerusalem will prefer to remain under Israeli rule than to move to Palestinian control, and so on. Indeed, instead of just asking “Jerusalem: United or divided?” one can note not a few aspects of normality and cooperation, on the one hand, and of segregation, alienation, and not infrequent violence, on the other. That these exist side by side does not mean they cancel each other out. The image of separation stems from the political controversy over the city’s future and from the radical Islamic trend. Images of cooperation and normality, which the media tend to ignore, reflect a reality of coexistence going back decades. In recent years the building of the separation fence has also contributed to the process; to a large extent the fence detached east Jerusalem from its natural hinterland – the villages and the Arab population of the West Bank, leading east Jerusalem Arabs to turn “westward” all the more. The field of education is a notable example. Far more Palestinian young people now want to attend Israeli academic institutions. For that they need an Israeli matriculation certificate (the Israeli academic institutions do not recognize Palestinian ones). So more young people in east Jerusalem now take the Israeli matriculation exam, and there are now numerous learning centers in east Jerusalem to prepare them for it. The result is an increase of east Jerusalem Arab students at the Hebrew University, particularly in the faculties of medicine and the natural sciences. There is also the issue of basic services, such as connection to the municipal water network. In recent years the Gihon water company has brought about a revolution by connecting tens of thousands of new customers, all of them east Jerusalem residents, to this network. More east Jerusalem residents than in the past now also submit requests to the municipality for building permits, preferring to build with a permit rather than illegally as was the practice for many years. The huge and unfortunate gaps between Jerusalem’s Jewish and Arab neighborhoods regarding the level of infrastructure and services, a result of ongoing Israeli neglect, still exist.6 In at least one area, however, the gap has been closed: that of health services. In surveys of the city’s residents that the municipality conducts, the Arab residents give quite high grades in this area. What brought about the change was the National Health Insurance Law (1995), which reimburses the health funds according to the number of people registered at each. The health funds have opened high-quality clinics in east Jerusalem neighborhoods as well, and usually award their management to local concessionaires, physicians, or businesspeople. As Prof. Yosef Prost, director of general health services in the Jerusalem district, said at the end of 2012, “There are clinics in east Jerusalem that are the best in the area. I could easily take them and put them in central Tel Aviv.”7 To this one must add, of course, Jerusalem’s three largest hospitals: Hadassah Ein Kerem, Hadassah Mount Scopus, and Shaarei Tzedek; east Jerusalem Arabs, as residents, have been enjoying their high level of care for years. Numerous volunteers for the Magen David Adom ambulance service, both Jews and Arabs, also provide care to both populations. The city is also interconnected by common infrastructure networks, and it would be difficult and perhaps impossible to separate these from each other without causing suffering to the residents. Services at varying levels are provided to all parts of the city: from main and secondary roads that cross it lengthwise and widthwise and connect all its parts, to integrated water, electricity, sewage, and telephone networks. In the above-mentioned hospitals, Jewish and Arab doctors and nurses work side by side and serve both populations. Many of the pharmacists in Jerusalem are Arabs. So are many of the drivers of the Egged bus lines and many of the passengers of this transportation cooperative. The malls in Jerusalem – Malcha, Hadar, and Achim Yisrael – teem with both Jewish and Arab customers. The intermingling is even more pronounced in the promenade of shops between Jaffa Gate and the Mamilla neighborhood, where Arabs and Jews routinely sit adjacent to each other in cafes. Both the sellers and the customers in this promenade include Jews and Arabs. Intermingling is also common in the areas of banking, commerce, and employment. A considerable number of the stalls in the Mahane Yehuda market are run by Arabs. Some of the shop owners in the Jewish Quarter of the Old City are also Arabs who employ Jews. Even the entrance hall of the Great Synagogue in Jerusalem, Orthodox Jewry’s flagship in the capital, is maintained and cleaned by Arabs. The large supermarket chain Rami Levy employs many hundreds of Arabs in its Jerusalem branches. Intermingling also prevails in the parks along the seam line, such as Liberty Bell Garden. Arabs likewise come to the Biblical Zoo and the Ein Yael outdoor museum, and their children take part in summer camps offered at these venues. Jews visit east Jerusalem in smaller numbers, but here too there is intermingling. In recent years all the quarters of the Old City have been crowded with tourists and with numerous Jews. Jews live not only in the Jewish Quarter but in the Muslim and Christian quarters as well, and there is Jewish-Arab cooperation in these neighborhoods in both trade and tourism. The Festival of Light, which the municipality has been holding in the Old City for several years, is an example of such cooperation with the revenues enjoyed by both Jewish and Arab merchants. Before the “Jerusalem Intifada” many Jews, mainly from Pisgat Ze’ev and Neve Yaakov, visited the new Beit Hanina shopping center in northern Jerusalem. Jews needing cheaper dental clinics would even go to Isawiya. The Arabs of Jerusalem also enjoy an income level four times higher than that in the Palestinian Authority, freedom of expression, freedom of religion, and access to any location in Israel, as well as a slew of National Insurance benefits. The Arabs of the West Bank do not enjoy these privileges. The intermingling, common fabric, and normalization that Olmert described 15 years ago have also become an accomplished fact because of an ongoing, large-scale momentum of activity to which the state of Israel has viewed itself as committed since the immediate aftermath of the Six-Day War. From the start, the objective of the massive construction in the eastern part of the city was to cement Jewish control of strategic lands and preclude any future separation between the different parts of the city. Israeli construction was aimed at knitting the city together, expanding it, filling spaces that had been empty, and ensuring that Jerusalem could not be divided again. For over three decades, as noted, the state affirmed that everything must be done to unify the city and prevent its redivision. The new neighborhoods in east Jerusalem were built with this in mind, according to a plan that was intended from the start to prevent a division. About 200,000 Jews now live in these neighborhoods; public and state institutions have also been built in locations annexed to the city in 1967, including Kiryat Hamemshala (the Government Compound) in Sheikh Jarrah, the campus of the Hebrew University and Hadassah Hospital on Mount Scopus, and hotels along Road 1. Lands and properties were purchased, both by private individuals and organizations, with the aim of “redeeming” Jerusalem. For several years there was also a government agency known as Igum that bought land and buildings in the Old City and east Jerusalem for future settlement of Jews there.13 In addition, the network of roads that today serves the two populations was laid and paved according to a plan that ruled out a division. As mentioned, the route of the one light-rail line in operation so far, and those of some of the other planned lines as well, were determined with this in mind. The large neighborhoods over the Green Line, such as Ramot, Gilo, Pisgat Ze’ev, Har Homa, and Ramat Shlomo, were established by the government; currently tens of thousands of Jews live in each of them. Smaller enclaves were also created, sometimes with government support, by ideological groups. Some of these are in Beit Orot on Mount Scopus, the Muslim Quarter of the Old City, the Christian Quarter of the Old City, the Shaar Haprachim area in the Old City, the area of the Tomb of Shimon Hatzadik (Simon the Just) in Sheikh Jarrah, the Arab Musrara area, the Maale Hazeitim neighborhood in Ras al-Amud, Beit Hashiva in Beit Hanina, Arab Abu Tor, the Mount of Olives, and an enclave on the municipal jurisdictional borderline in Abu Dis. These were aimed at fulfilling the Jewish people’s historical and religious connection with places of greater significance to them in the ancient core of Jerusalem; but also, and no less, at preventing a redivision. C. A Border Town Again? is likely to perpetuate affluent, modern neighborhoods on the western side contrasted to poverty and physical neglect on the eastern side. The neighbor in Abu Tor who peeks from his window at the possessions of the Jewish neighbor will feel envy, and similar to the situation today along the seam line in other parts of the country, a dynamic of thefts and burglaries will develop, just like in the 1950s and 1960s. During the period of division up to 1967, the city’s migration balance was negative, more people leaving than coming to live in it. After the Six-Day War the migration balance evened out and sometimes was even positive. Over the recent decades (except for one year) it has again been negative. Based on the trends we have outlined, a division would probably further increase both Jewish and Arab emigration from the city. Population growth in Jewish Jerusalem during the 19 years before the city’s unification derived half from natural growth and half from the large waves of aliyah that characterized the early years of the country. More than half of those who were employed in the divided city worked in the service sector in the fields of education and health, mainly under the aegis of the national and municipal governments; only one-fourth were employed in productive activity in the fields of industry and commerce. A division will likely cause an economic crisis, further enlarge the proportion of workers in the services, and reduce the proportion of people who work in industry, commerce, and hi-tech. During the years of division, Jerusalem’s economy was in retreat compared to the growth and expansion in other parts of Israel. In contrast to the eastern city, which lived from tourism – the holy places of the three religions are there – tourism in the west, where few tourist sites remained, was anemic. Most of the foreign tourists entered the Israeli side of the city through the Mandelbaum Gate, spent a few hours there, and continued on their way. A redivision that again leaves the main tourist and religious sites on the Arab (Palestinian) side will likely have the same effect on the Jewish side. During the 19 years of division, Jerusalem’s proportion of Israel’s total population declined from 9.6 percent to 7.4 percent. The main reason was a relative lack of jobs. Today Jerusalem accounts for 10 percent of the total population, and the Jews in Jerusalem form 8 percent of the country’s total Jewish population. For a long time the large government ministries were located in Tel Aviv, and there were more government workers in Tel Aviv than in Jerusalem. Today it is impossible to know how the reality of a divided city would affect the presence of government ministries in Jerusalem. One of the difficult problems the city dealt with was the detachment between the Jewish community and the cemetery on the Mount of Olives, which was often desecrated and where 38,000 headstones were destroyed. Alternative cemeteries had to be established in Givat Ram, Sanhedria, and Har Hamenuchot. If, in a redivision, the Palestinians demand the Mount Olives, that difficult reality will probably return. Even if the mount remains in Israel’s hands, the roads to it will be exposed to Palestinian terror. Not infrequently, Jordanian Legionnaires sniped from the Old City wall at Jews in the western city. Particularly exposed were Jews who went from south of the King David Hotel toward Talpiot. A similar situation prevailed along the line between western Musrara and Jewish Musrara. In Chapter 3 we noted that a redivision would leave Arab neighborhoods dangerously near Jewish ones, and that weapons would be available and could, with unbearable ease, reach numerous hostile elements whose interest in attacking in Jerusalem has hardly come to an end. Prof. Raphael Israeli, who was a member of the Jordan-Israel Mixed Armistice Commission before 1967, testified in Divided Jerusalem that the city’s affairs along the borderline were actually run by the commission, with much involvement by the world powers that was usually to the Israeli side’s detriment. Experience suggests that further international involvement in arranging a division of Jerusalem would not benefit Israel. During Jordanian rule the residents of the Muslim Quarter lived in especially difficult conditions, without paved streets or a sewage system and, in many homes, without electricity. The Muslim Quarter also remained densely crowded. After 1967, however, conditions there improved considerably. 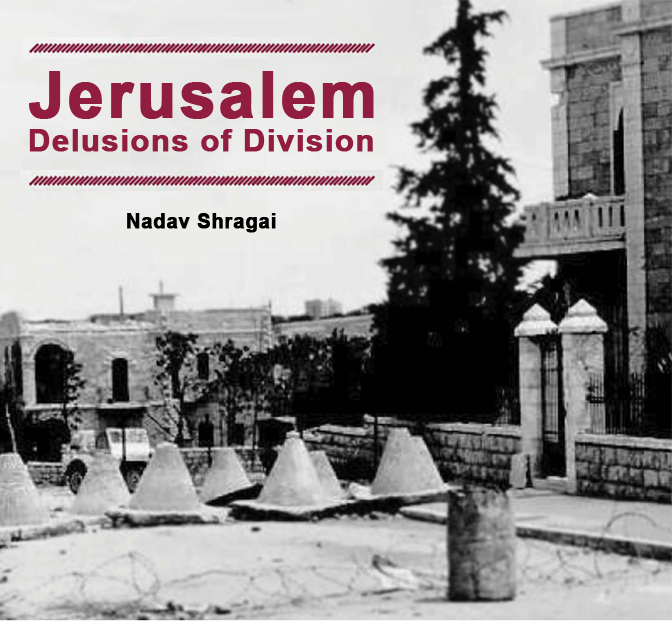 It appears, then, that a division of Jerusalem will be traumatic, not only on the demographic, security, and national levels but also for morale. A division will seriously impair the common fabric of life, the normality and intermingling, the larger totality that is little talked about, along with the city’s economy and municipal fabric. E. What Do the East Jerusalem Arabs Want? The 2014 “Jerusalem Intifada” seemingly reflected increased nationalism among the east Jerusalem Arabs. The fact that many thousands took part in the disorders, and close to a thousand were arrested, could lead to the conclusion that most east Jerusalem Arabs want separation, division, and distinct political expression. Yet, for many years, there have been plentiful indications that a considerable part of this population opposes a division of the city and, if it were to occur, would move to the Israeli side. This seemed evident, for example, even during informal talks that were held in 2014 between residents of Jewish and Arab neighborhoods with the aim of calming the situation. Such insights arise from numerous talks with east Jerusalem Arabs that I have held over the years. The picture that emerges is quite clear: they identify with the Palestinian struggle, have a sense of Israeli neglect and discrimination regarding investments in infrastructure and services for their neighborhoods, but look askance, sometimes extremely so, at the PA because of its lack of real democracy. They particularly fear losing their resident status, which affords them a host of benefits and rights as described earlier – freedom of movement and expression, varied employment possibilities, a high income level, entitlement to National Insurance and other imbursements. They are in a state of ambivalence. On the one hand, their national sentiments intensify when there is war in Gaza, or when Israel acts militarily in the West Bank to suppress terror, and particularly when Muslim spiritual leaders succeed to spread the “Al-Aqsa is in danger” libel and the Temple Mount becomes a focus of conflict. On the other hand, for many east Jerusalem Arabs the desire to preserve the united city, and to safeguard their resident status with its numerous benefits, keeps growing. Only a few are prepared to say these things openly or be identified publicly as saying them. During the 2014 “Jerusalem Intifada,” Hamas gangs and Fatah members created an atmosphere of fear among the residents, lest they dare openly express their real feelings. Loud cries of distress, stemming from that atmosphere of fear, were directed at the Jerusalem municipality, the police, and the ISA; but in places like Isawiya, Shuafat, A-Tur, or Jebel Mukaber there was greater apprehension of the terror elements than of the Israeli government. One can’t suddenly, in a few seconds, turn the world upside down and decide that a resident of Jerusalem is like a resident of Hebron or Nablus…. The residents of east Jerusalem are something special. In the PA there is no democracy. They don’t know what democracy is. I don’t think asking for a referendum in east Jerusalem is a crime. So far at least, I do not belong to the PA and it does not belong to me. Arafat is not my rais, and it is not acceptable to me that he should sign an agreement that determines my future without asking me what I think…. He has no mandate from me and he does not represent me. The public opinion survey that the American survey institute Pechter conducted for the Council on Foreign Relations, together with the head of the Palestinian Center for Public Opinion, Dr. Nabil Kukali, found that in case Jerusalem is divided as part of an Israeli-Palestinian peace agreement, the Arabs of the eastern part of the capital in fact prefer to live under Israeli sovereignty. The survey, which was conducted among the residents of 19 of the Arab neighborhoods of east Jerusalem, also revealed that their opposition to such a measure is so fierce that they would rather move into Israel than live under the rule of a Palestinian state. The survey also revealed that the Palestinian residents of Jerusalem want to retain their Israeli identity cards and keep enjoying the health services and social benefits that the state provides them. Thirty-five percent said that Israeli citizenship is what they prefer, and only 30 percent opted to be citizens of the future Palestinian state. Another 30 percent said they did not know or preferred not to answer the question. …In order to retain the blue [Israeli] identity card, it appears that the east Jerusalem residents are even prepared to pay a heavy price: 40 percent said they would relocate so as to remain Israeli citizens if their place of residence were to pass to Palestinian sovereignty. Conversely, only 29 percent said that in the opposite case, where it would be decided to leave the given area under Israeli sovereignty, they would move to the area to be placed in Palestinian hands. Apart from the social benefits, the east Jerusalem residents explained that their preference to carry an Israeli identity card stems from the fact that it allows them freedom of movement throughout the country, a higher income, and varied employment possibilities. The minority that prefers to live under Palestinian sovereignty explained this in terms of nationalist and patriotic motivations. It’s true. I and many others in east Jerusalem are aware of what happens in the West Bank and in Gaza. The population, and I as well, do not want to live under a regime where people do not have rights or health insurance or national insurance or child stipends or a guaranteed income or unemployment payments or disability payments. People, even under occupation, desire a certain standard of living. There is a difference between a salary of 8,000 shekels a month in east Jerusalem and 800-1,200 shekels in the PA. Even a soldier in the PA does not earn more than 2,100 shekels. So people say to themselves: the PA can go jump in a lake. People look at the nature of the PA, of the leadership. They see there, on the one hand, a large impoverished population, and on the other, a political and military leadership who came from Tunis, took over the land, the economy, live in luxurious homes, drive Mercedes, and do not care about the people that goes barefoot. It’s true that the population feels that it is part of the Palestinian people, but the whole national issue suffers attrition, whether it is in Gaza, whether it is in the West Bank, and certainly if it is in east Jerusalem. Nationalism is important, but standard of living is more important. In east Jerusalem a person who doesn’t feel well goes to Hadassah Hospital and gets the right medical treatment without paying. People on the West Bank do not even obtain medicines, let alone hospitalization. I hear about medicines whose date has expired, that are displayed there on the shelves, that you endanger your life by using. Where is the PA? Where is the supervision? Does that interest them at all? …When Israel began to build the fence in the north, A-Ram emptied out. Thirty percent of the residents there, who hold blue identity cards and live in three-story houses, went and rented shacks in Isawiya and Silwan, just so as not to lose the residency permits and lose rights, and to get away from the PA.
Are you Israelis or Palestinians? The truth is that today we are closer to the Israeli Arabs, who have almost lost their identity. We don’t really know whom we belong to. What will happen on the ground if there is a division? There will be large-scale migration to the Israeli side. I have no doubt about that. Thousands have already moved to Abu Ghosh and to Ein Rafa and to Neve Yaakov and Pisgat Ze’ev. It’s no secret. In east Jerusalem they want an open society, a good standard of living, rights, democracy. None of that exists in the PA.
Then what is the conclusion? The residents in East Jerusalem want quiet. The government perhaps sees them as a potential terror element, but it’s wrong. The residents here know the value of freedom of movement, access to workplaces, freedom of expression, the numerous rights, the possibilities for a livelihood. The few suicide terrorists who have come from east Jerusalem are exceptions. At the same time, one has to take into account that continued home destructions in east Jerusalem are likely to raise the level of terror in the eastern part of the city, which today is very limited. What is the practical significance of these views regarding a future settlement in east Jerusalem? People in east Jerusalem are not looking for a solution. They are looking for a good standard of living. Thirty thousand of them have already gone further than to settle for a residency card, and have Israeli citizenship. If tomorrow the government opens the door to naturalization, I’d say that about 100,000 will go to the Interior Ministry and request Israeli citizenship, but the government is still setting limits on this. This issue – the automatic revocation of resident status, and possible invalidation of this status by Israel because of absence from the country – has affected east Jerusalem residents’ behavior over the years. Since 1967, Israel has revoked the resident status of about 14,500 east Jerusalemites on the grounds of absence from the country. Some years, such as 2006, saw an especially high number of such revocations – 4,577; other years, such as 2012, saw a very low number – only 116. It is the constant fear of losing resident status that has led thousands of Palestinians who had lived outside the municipal borders of Jerusalem (in the West Bank) – and legally speaking also outside the borders of the country – to move within the Jerusalem boundaries. This, of course, has affected the Jewish-Arab demographic balance in Jerusalem, the city’s economy, the density of housing in Arab neighborhoods, as well as the feelings of east Jerusalem residents who for various reasons have lived outside the city. They have felt themselves under an ongoing threat of revocation of their status, which, as we have seen, affords them many benefits and rights. Different explanations have been offered for this increase – economic motives and personal convenience, the ongoing trend of integration and “Israelization” of east Jerusalem Arabs, or acceptance of the enduring political reality. Some claim, however, that those who request citizenship want to make sure their resident status will not be revoked if they leave the country for some time, or spend some time in the territories. Given the fact that tens of thousands of Palestinians who had lived outside of Jerusalem have moved back into it for fear of losing their resident status, and the fact that the building of the separation fence in northern Jerusalem prompted tens of thousands of Palestinians to do the same, it appears that the latter explanation is well founded. Anyone to whom maintaining the Jewish majority in greater Jerusalem is important, then, must show some flexibility on the residency issue. The insistence on sustaining the threat of revoking the east Jerusalem Arabs’ resident status has caused tens of thousands of them to move from outside Jerusalem into the heart of the city. In practice, then, the state of Israel finances the resident status of the tens of thousands who return, since they now demand that the terms of their status are fulfilled. Would it not have been preferable, therefore, to keep financing the resident status of these same tens of thousands of people while they were living outside of Jerusalem? Lifting or mitigating the threat of revocation would leave tens of thousands of additional Palestinians, Jerusalemites by origin who hold a resident card and fear losing it, outside the city. Moving in this direction would also be justified from both a human and a public-diplomacy standpoint. The state of Israel would indeed have to “pay” to lower the motivation of Jerusalem residents living outside the city to return to it, but the “payback” would be maintaining the Jewish majority in Jerusalem. This could, at least at the present time, be worthwhile. 1 The daily Yerushalayim, December 29, 2000. 2 Nir Hasson, “Te’uda K’chula, Mitzrach Mevukash b’Mizrach Yerushalayim” (Blue Card: A Much-Wanted Item in East Jerusalem), Haaretz, December 29, 2012. 3 The city was divided for the 19 years of Jordanian rule, 1948-1967. 4 Choshen and Korach, Hashnaton Hastatisti, Table ג/10 (no. 28). 5 For more, see Nadav Shragai, “Ha’ir sh’Urbeva La” (The City That Got Mixed), Israel Hayom, May 23, 2014; Hasson, “Te’uda K’chula”; Nir Hasson, “Tachanat Hamaavar Hachinuchit shel Toshavei Yerushalayim Baderech l’Kabalat Avoda b’Yisrael” (The East Jerusalem Residents’ Educational Way Station on the Way to Finding Work in Israel), Haaretz, August 28, 2012; Eren Tzidkiyahu, “Milchama al Habayit b’Yerushalayim” (A War for the Home Front in Jerusalem), website of Molad: The Center for the Renewal of Israeli Democracy, March 25, 2014. 6 See, e.g., Committee to Examine the Municipal Services in East Jerusalem, Sherutei Ha’iriya Bamigzar Ha’aravi: Nituach Tzarchim v’Maanim (The Municipal Services in the Arab Sector: An Analysis of Needs and Solutions), November 1974. 8 These will connect the Hebrew University campus at Givat Ram and the one on Mount Scopus, Mount Scopus and Gilo, Ramot (in the north) and Gilo (in the south); the “brown line” will operate in the eastern part of the city; and a line will operate from the Western Wall to Givat Ram through the center of the city. For details, see Daniel Shmil, “Mitrachvim: Chamisha Kavei Rakevet Kala Nosafim Yukmu b’Yerushalayim” (Expanding: Five Additional Light-Rail Lines Will Be Built in Jerusalem), The Marker, September 20, 2013. 11 Yehoshua Prawer and Ora Achimeir, eds., Esrim Shana b’Yerushalayim (Twenty Years in Jerusalem) (Tel Aviv: Misrad Habitachon, 1987), 15-16; Shragai, Har Hamerivah, 199-200. 12 The Clinton Parameters were based on the principle of dividing the city according to the layout of the population: what was Jewish, for the Jews; what was Arab, for the Arabs. 13 A report on this agency’s activity and objectives is in the author’s possession. 14 Similarly in the small pockets of settlement that Jews have renewed in the Muslim Quarter of the Old City and in the City of David, Jews and Arabs live side by side. 15 Nadav Shragai, “Hatzad Hafalestini Mitchayev Lehafer et Haheskem; Hatzad Ha’israeli Mitchayev Lehafgin Ozlat Yad” (The Palestinian Side Promises to Breach the Agreement; The Israeli Side Promises to Show Weakness), Haaretz, June 9, 2002. 17 Amiram Gonen, “Yerushalayim – Eich Lechazek v’Lechaber et Ha’ir Hamitporeret” (Jerusalem – How to Strengthen and Connect the Disintegrating City), in Amirav, Adoni Rosh Hamemshala, 162. 18 Benvenisti, Mul Hachoma, 82; Israel Kimchi, “Yerushalayim Hechatzuya 1948-1967” (Divided Jerusalem 1948-1967), Jerusalem Institute for Israel Studies, in manuscript. 19 In newspaper articles and in conversations with the author of this book. A similar decline in apartment prices in seam-line neighborhoods occurred in Jerusalem during the Second Intifada, particularly in Gilo, Har Homa, and Pisgat Ze’ev. 20 Roi Yanovsky, “Katastrophat Hanadlan shel Kav Hatefer” (The Real-Estate Catastrophe of the Seam Line), Yediot Yerushalayim, October 31, 2014. 23 Elisha Efrat, Yerushalayim v’Haprozdor: Geografia shel Ir v’Har (Jerusalem and the Corridor: A Geography of City and Mountain (Jerusalem: Tel Aviv: Achiasaf, 1967), 75, 79. 24 According to the data of Table א/3 in Choshen and Korach, Hashnaton Hastatisti, 17, the Arab neighborhoods of Jerusalem encompassed an area of 46,711 dunams. 25 Mordechai Naor, Yerushalayim Ir v’Am (Jerusalem: City and People) (Jerusalem: Yitzhak Ben Zvi/Yediot Aharonot/Sifrei Hemed, 1995), 226. 26 Hillel Cohen, Kikar Hashuk Reka (The Market Square Is Empty) (Jerusalem: Hotza’at Ivrit, 2007), 28. 27 Makor Rishon, September 1, 2000. 28 The survey is referenced by Klein in Yuzmat Geneva, 151-153, and is quoted in a background paper prepared for the Jerusalem Institute for Israel Studies prepared in the framework of an article by Prof. Yaakov Bar-Siman-Tov. 29 The link for the survey by the Pechter Institute: http://pechterpolls.com/wp-content/uploads/2011/01/Detailed-Survey-Results-on-E-Jerusalem-1-10-11-1034pm-Eastern.pdf. 31 Nadav Shragai, “Maadifim Lihiot Yisraelim” (They Prefer to Be Israelis), Israel Hayom, January 21, 2011. 32 The Israeli Arab journalist Khaled Abu Toameh is quoted in a similar vein in a far-reaching article by Avinadav Vitkun that was posted on the News1 site on May 20, 2012. The article was first published in Makor Rishon. See there also the remarks by Dr. Israel Kimchi. 33 For more, see the executive summary of a new study by Dr. Amnon Ramon of the Jerusalem Institute for Israel Studies: Hatoshavim shel Arvi’ei Mizrach Yerushalayim—1967-2013 (The Residents of the East Jerusalem Arabs—1967-2013) (in the author’s possession). 34 From “Shlilat Maamad Hatoshavut b’Mizrach Yerushalayim” (Revoking Resident Status in East Jerusalem), website of B’Tselem, January 1, 2011. 35 Nir Hasson, “3374 m’Toshavei Mizrach Yerushalayim Kiblu Ezrachut Ba’asor Ha’acharon” (3,374 East Jerusalem Residents Received Citizenship over the Past Decade), Haaretz, October 20, 2012.